#PKCP8040 | In stock, Ready to ship! "These are without a doubt my best selling pen kit by far. I have done just about every finish there is except for the polished gold. The antiques brass is my favorite by far, but I personally prefer that finish when available in just about any pen kit." "I have made several of these and they have turned out beautifully. 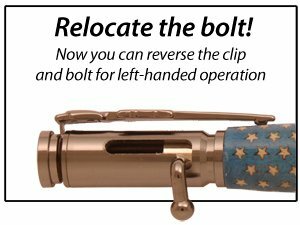 It's a very popular pen and with some of the special blanks available (deer pics and engraving , 2nd amendment, punisher, many more) makes a great gift or pen for selling ." "Easy to turn, canâ€™t keep them"
"Once you get these out, word of mouth spreads and before you know it, you're making them by the dozens. The past two Christmas' I have sold over a hundred each year and just ran out of time to turn more!" "These pen kits are fun to make and easy to sell." "This is my most popular pen kit by far. I have probably sold over 100 of these by now. The antique brass is my personal favorite. Recently did an order for 34 pens, 12 of those pens were antique brass and deer antler"
"I made one of these pens for a friend. He shows it to all my other friends and now I have made 10 more and counting. I am a Vietnam vet and this pen is special in my mind and those of my friends." "My customers love this pen. I give my American Legion post $5.00 for each one I sell, and I have made quite a number of donations. These pens turn out great even using plain woods (picture). I prefer high grain woods, but these pens make all look good." Antique Brass sells even better than Gold finish for us! "At first I was concerned that the antique brass finish was too similar to the 24k gold, but everyone seems to love the antique brass on the bullet!" "These make a wonderful gift!" $30 Paduak is THE most popuar with the Antique Brass. $45 Antler and wood burls. $55 '2nd Amendment' or 'We the People' blanks. $60 Vietnam campaign ribbon, various.